Jackie Ancheta - Jackie is our Office Manager responsible for the day-to-day operations of the office and providing organizational support including showings, MLS and website maintenance of GulfHarbourProperties.com, all promotional material production and distribution. Jackie is originally from Michigan and followed her Grandfathers footsteps by obtaining her real estate license in 2008. 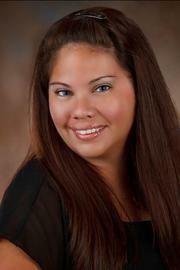 She has a great deal of experience in Administrative Support and Property Management.